It's not that Verity Kent doesn't sympathize with those eager to make contact with lost loved ones. After all, she once believed herself a war widow. But now that she's discovered Sidney is very much alive, Verity is having enough trouble connecting with her estranged husband, never mind the dead. Still, at a friend's behest, Verity attends a séance, where she encounters the man who still looms between her and Sidney—and a medium who channels a woman Verity once worked with in the Secret Service. Refusing to believe her former fellow spy is dead, Verity is determined to uncover the source of the spiritualist's top secret revelation. A harrowing trip over devastated parts of Belgium and France puts them both in danger from someone who's learned secrets he shouldn't know. Huber compellingly recalls the devastation wreaked on the minds of the people and the fabric of the countries involved. A thrilling mystery that supplies its gutsy heroine with plenty of angst-ridden romance. [A] splendid sequel...Huber combines intricate puzzles with affecting human drama. Huber is an excellent historical mystery writer, and Verity is her best heroine. Sidney and Verity are a formidable couple when they work together, but they are also very real. They don't leap straight back into life before the war but instead face many obstacles and struggles as they readjust to married life and post-war life. Nonetheless, the love between Sidney and Verity is real and true, and the way that Huber creates their re-blossoming love is genuine. Topped off with a gripping mystery, this will not disappoint. 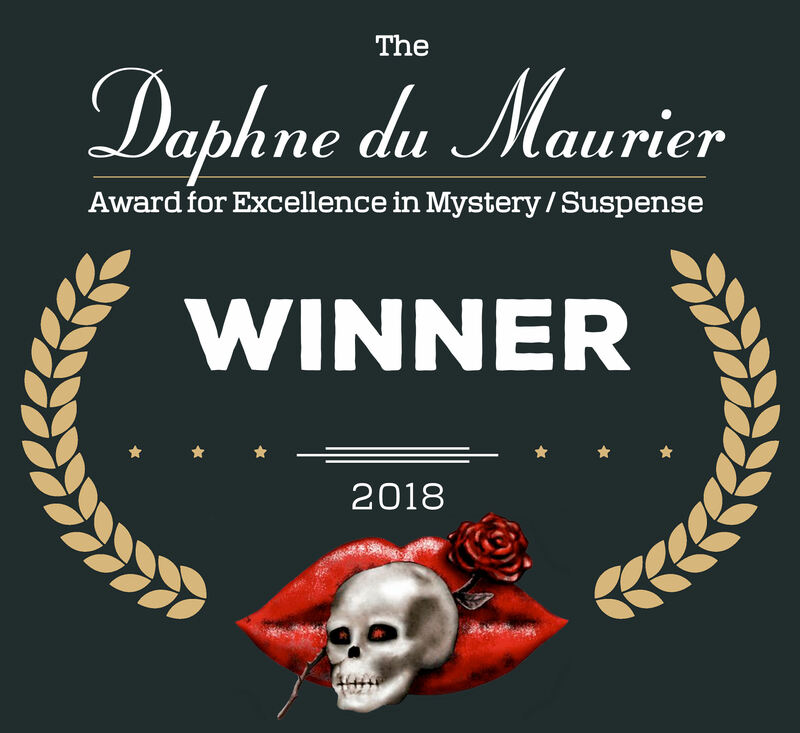 Winner of the RWA Mystery Suspense, Kiss of Death's Chapter 2018 Daphne du Maurier Award in the category Historical Romantic Mystery/Suspense. The Great War is over, but in this captivating new series from award-winning author Anna Lee Huber, one young widow discovers the real intrigue has only just begun. . .
England, 1919. Verity Kent's grief over the loss of her husband pierces anew when she receives a cryptic letter, suggesting her beloved Sidney may have committed treason before his untimely death. Determined to dull her pain with revelry, Verity's first impulse is to dismiss the derogatory claim. 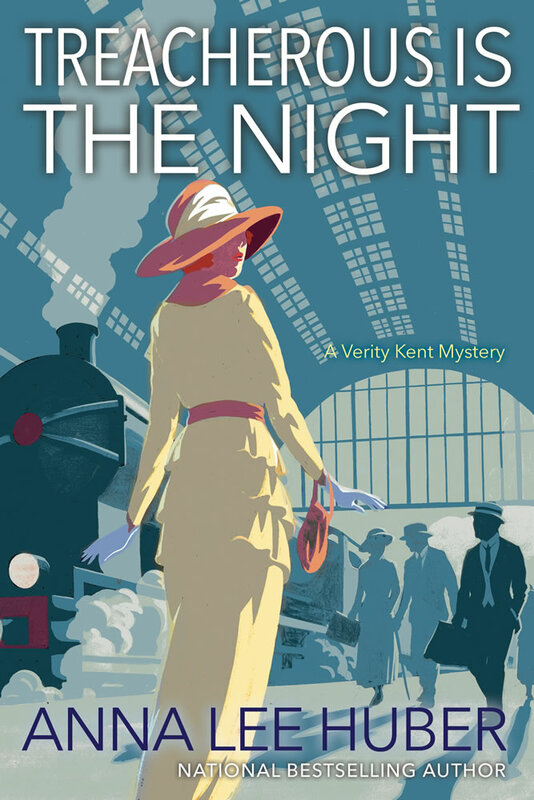 But the mystery sender knows too much—including the fact that during the war, Verity worked for the Secret Service, something not even Sidney knew. Lured to Umbersea Island to attend the engagement party of one of Sidney's fellow officers, Verity mingles among the men her husband once fought beside, and discovers dark secrets—along with a murder clearly meant to conceal them. Relying on little more than a coded letter, the help of a dashing stranger, and her own sharp instincts, Verity is forced down a path she never imagined—and comes face to face with the shattering possibility that her husband may not have been the man she thought he was. It's a truth that could set her free—or draw her ever deeper into his deception. . .
Engrossing...Evocative historical details complement the well-drawn characters. The intricate plot builds to a surprising conclusion. 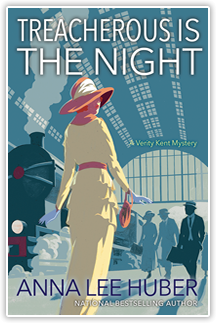 The new Verity Kent Mystery series is rich in detail without being overwhelming and is abundant with murder, mystery, and a bit of romance. The plot is fast-moving with twists and turns aplenty. Huber knows what it takes to write a great mystery. Suspenseful, atmospheric, and beautifully written. My favorite new mystery series! Sure to please fans of classic whodunits and lovers of historical fiction alike. 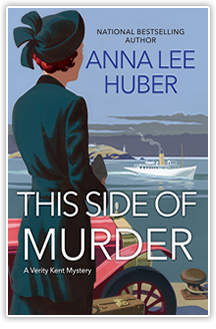 Anna Lee Huber jumps into her new Verity Kent series with This Side of Murder, a smashing and engrossing tale of deceit, murder and betrayal set just after World War I. Based on a true story, thick with period ambience woven into a knotty mystery. Just the right read for a foggy night. Huber marries clever plotting with a rich, nuanced use of period history. 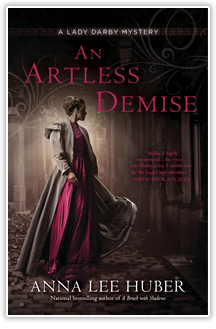 Anna Lee Huber keeps upping her game--An Artless Demise is the perfect blend of history, mystery, and one of my favorite sleuthing couples!" Anna Lee Huber has done it again! 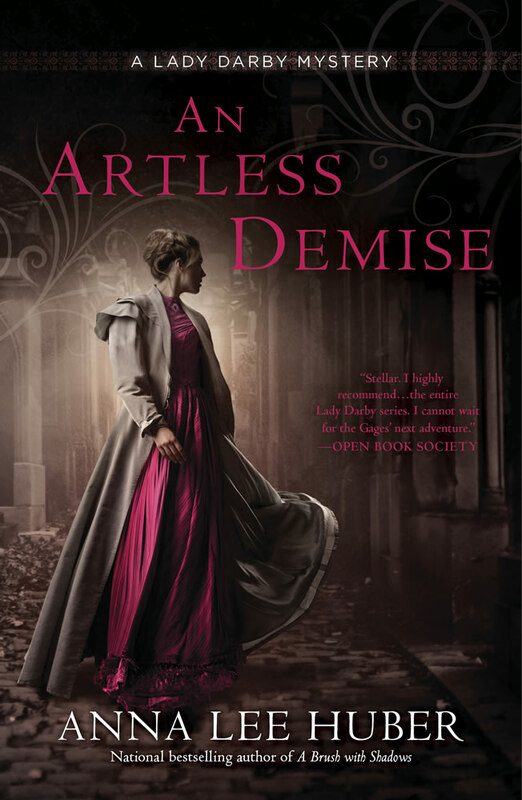 An Artless Demise is an unputdownable story, with an indomitable heroine, a great supporting cast, and a gripping, propulsive narrative with real history at its core. Intriguing, captivating and well-crafted...Anna Lee Huber's AN ARTFUL DEMISE immediately captures the imagination. 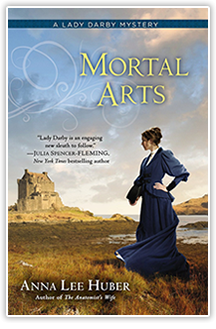 Huber's grasp of 1830s London, particularly in her use of nuanced social conventions and rich period details, makes this latest in her Lady Darby mysteries another standout tale. The spirited romance of Kiera and Gage will continue to delight, even as new scandals related to Kiera's past threaten everything the newlyweds have built so far. Few heroines pursue their villains with such resource and wit as the indomitable Kiera Darby as she ventures into the spine-chilling world of London's body-snatching business and her past comes back to haunt her. Another riveting instalment in this compelling series from Anna Lee Huber! Kiera's past and her late husband's chilling trade are at the crux of this exquisite entry in the Lady Darby series. 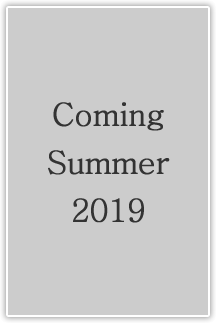 For readers, like myself, who consider Kiera and Gage to be dear friends, the high stakes in this immaculately paced mystery will have them biting their nails and firmly on the edge of their seats. London in the midst of political upheaval and shifting social classes is a gorgeously rendered setting and Huber's pitch-perfect historical research shines on every page. But as with all of Huber's mysteries, it is not just the verisimilitude, Kiera's inimitable and fiercely intelligent narrative nor her deft characterization that establish her as one of the premiere voices in her genre, it is the conviction and heart that motivates her characters and the strong sense of morality that counterbalances even the most sinister of crimes. A missing heir, an estranged family, and a possible poisoner add up to a pretty puzzle for two far-from-disinterested sleuths... Huber draws on the beauties and dangers of the mysterious moorlands to provide a fitting setting for a knotty mystery filled with envy, greed, and thwarted love. 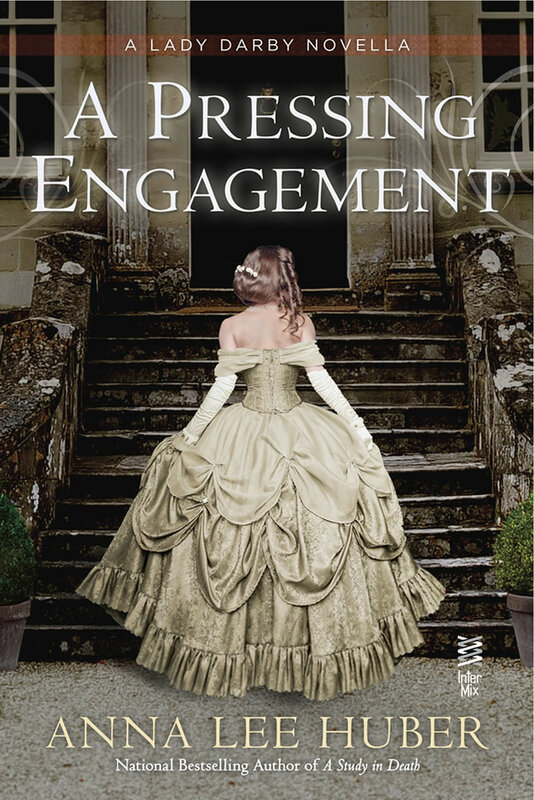 July 1831.In the midst of their idyllic honeymoon in England's Lake District, Kiera and Gage's seclusion is soon interrupted by a missive from her new father-in-law. 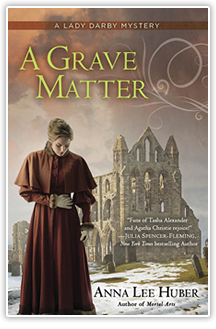 A deadly incident involving a distant relative of the Duke of Wellington has taken place at an abbey south of Dublin, Ireland, and he insists that Kiera and Gage look into the matter. Desert Isle Keeper Review - Deftly handled and well plotted, with gorgeous prose and a demonstrated grasp on a complex history, As Death Draws Near is a sumptuous and suspenseful escape into another time. 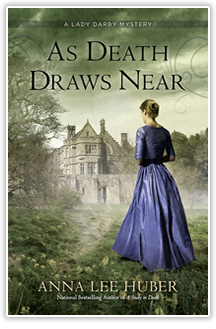 As Death Draws Near is appealing on many levels, from the sense of local history to the relationships and ties between characters, but it's Kiera, Lady Darby, we've all come to see, and she doesn't disappoint whatsoever! Bring on book six! 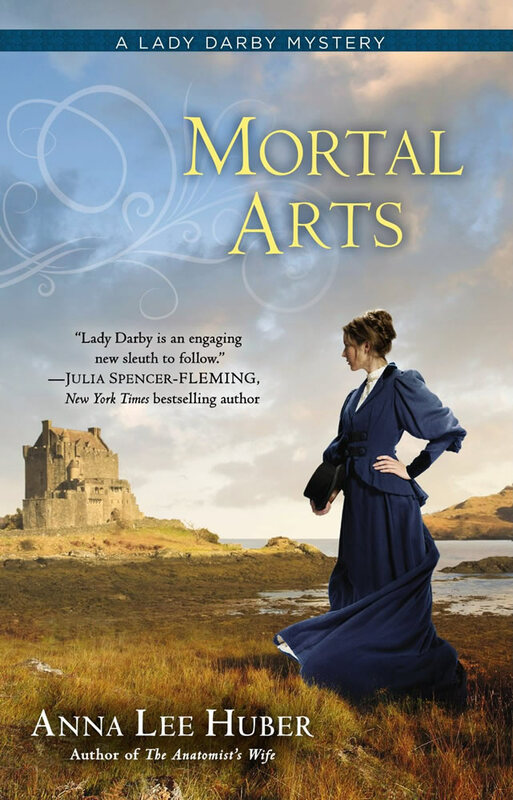 I cannot recommend the Lady Darby series strongly enough, and while this one works as a stand-alone, for maximum effect, they really should be read in order. 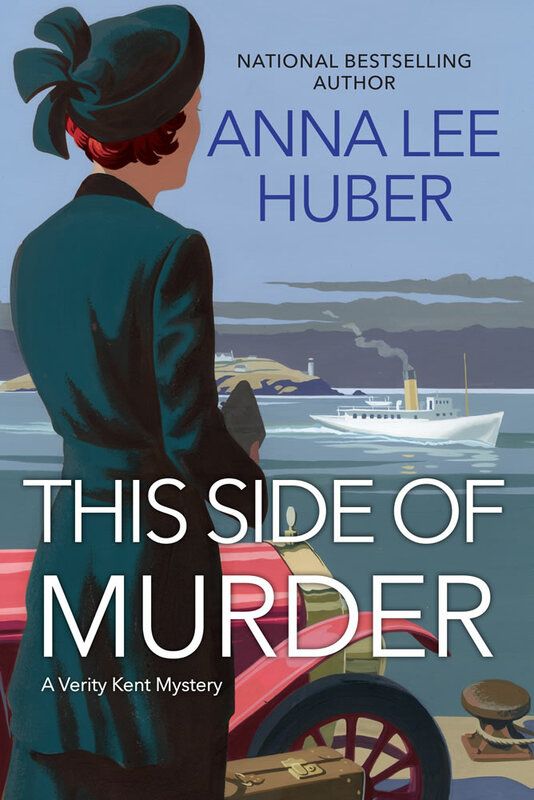 Anna Lee Huber is a supremely talented author, and these books are complex, impeccably plotted, and clearly well-researched. In addition to creating the wonderful characters, she brings the culture and the landscape into full view, and there is a strong sense of place. 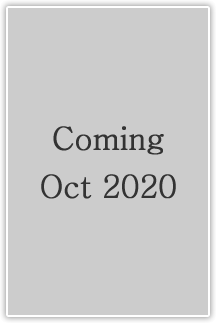 This novella is currently only available in electronic form, but it is not necessary to own an E-reader in order to read it. You can download the Kindle or other E-reader apps to your tablet, smartphone, or computer. You can also use the Kindle Cloud Reader and read it directly inside your web browser. 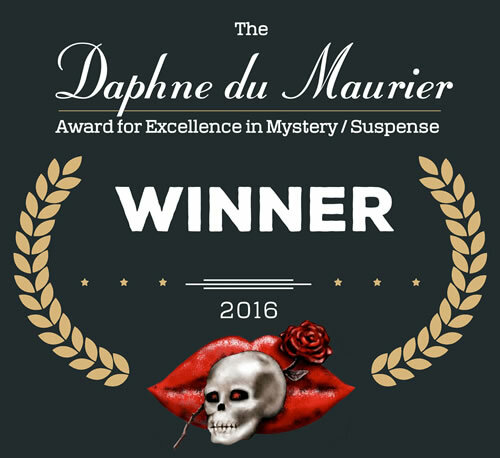 Winner of the RWA Mystery Suspense, Kiss of Death's Chapter 2016 Daphne du Maurier Award in the category Historical Romantic Mystery/Suspense. Scotland, 1831. 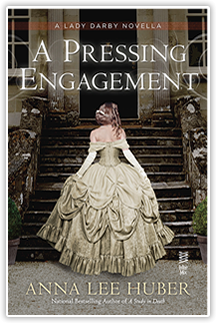 After a tumultuous courtship complicated by three deadly inquiries, Lady Kiera Darby is thrilled to have found both an investigative partner and a fiance in Sebastian Gage. But with her well-meaning-and very pregnant-sister planning on making their wedding the event of the season, Kiera could use a respite from the impending madness. Commissioned to paint the portrait of Lady Drummond, Kiera is saddened when she recognizes the pain in the baroness's eyes. Lord Drummond is a brute, and his brusque treatment of his wife forces Kiera to think of the torment caused by her own late husband. Kiera isn't sure how to help, but when she finds Lady Drummond prostrate on the floor, things take a fatal turn. The physician called to the house and Lord Drummond appear satisfied to rule her death natural, but Kiera is convinced that poison is the real culprit. Anna Lee Huber once again takes us into the dark streets and the bright ballrooms of Edinburgh as Lady Kiera Darby investigates the mysterious death of one of her clients. Our fascinating heroine finds danger in both the dank alleys and the glittering homes of the wealthy, where nothing is what it seems and she must even doubt the loyalty of those who profess to love her. A thoroughly enjoyable read! 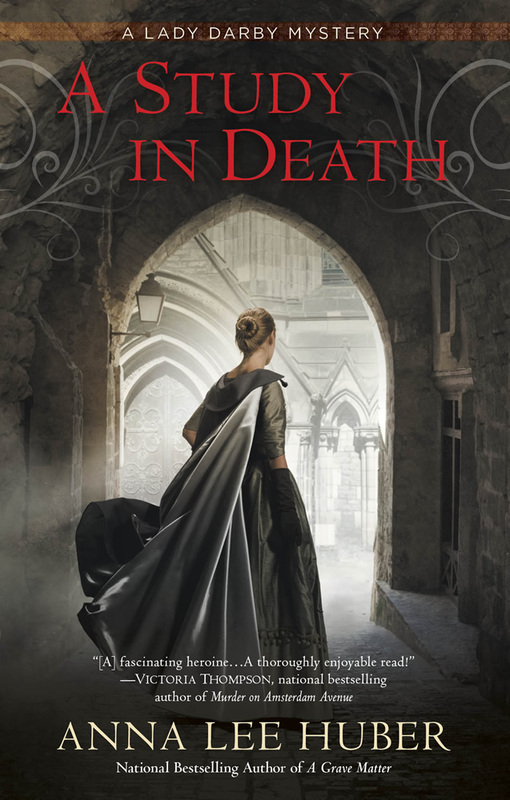 A Study in Death... is every bit as wonderful as the three prior novels... From back streets to drawing rooms, and many places in-between, A Study in Death delivers a plot as twisted as the cobbled lanes of Edinburgh itself. Characters from the past, favors called in and favors owed, and a hint of what's yet to come all promise that this is far from the last we'll hear from Kiera and Gage. Excellent! When Gage arrives, he reveals that the incident at the Abbey was not the first-some fiend is digging up old bones and holding them for ransom. Now Kiera and Gage must catch the grave robber and put the case to rest...before another victim winds up six feet under. Finalist in the Georgia Romance Writers 2015 Maggie Awards in the category Novel with Strong Romantic Elements. Finalist in the Oklahoma Romance Writers 2014 National Readers' Choice Awards in the category Novel with Romantic Elements. 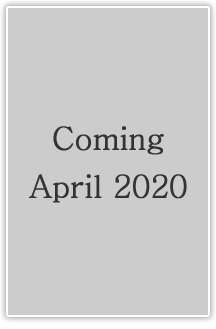 Both the high-society setting and the developing relationship between Kiera and Gage that parallels the criminal investigation will appeal to fans of historical romances as well as mysteries. This series continues to remain compelling and fresh, a definite must read for those looking for a fascinating protagonist and a riveting storyline. Scotland, 1830. Lady Kiera Darby is no stranger to intrigue-in fact, it seems to follow wherever she goes. After her foray into murder investigation, Kiera must journey to Edinburgh with her family so that her pregnant sister can be close to proper medical care. 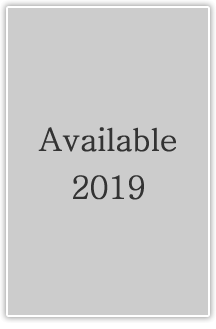 But the city is full of many things Kiera isn't quite ready to face: the society ladies keen on judging her, her fellow investigator-and romantic entanglement-Sebastian Gage, and ultimately, another deadly mystery. A unique and compelling page-turner that readers will enjoy from start to finish. Kiera wants to put her past aside, but when one of the house guests is murdered, her brother-in-law asks her to utilize her knowledge of human anatomy to aid the insufferable Sebastian Gage-a fellow guest with some experience as an inquiry agent. While Gage is clearly more competent than she first assumed, Kiera isn't about to let her guard down as accusations and rumors swirl. 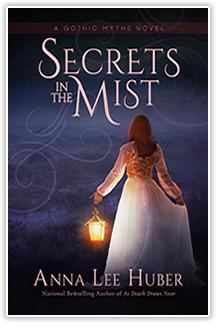 Anna Lee Huber's spirited debut mixes classic country house mystery with a liberal dash of historical romance. 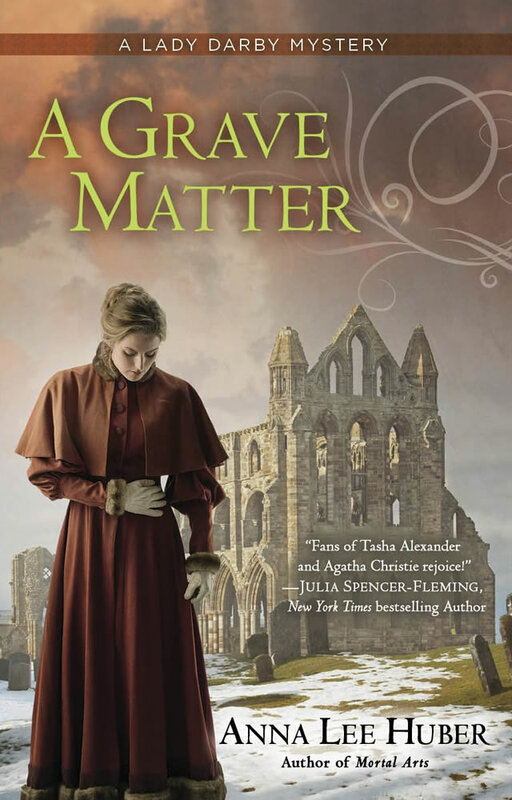 Fans of Tasha Alexander and Agatha Christie rejoice! 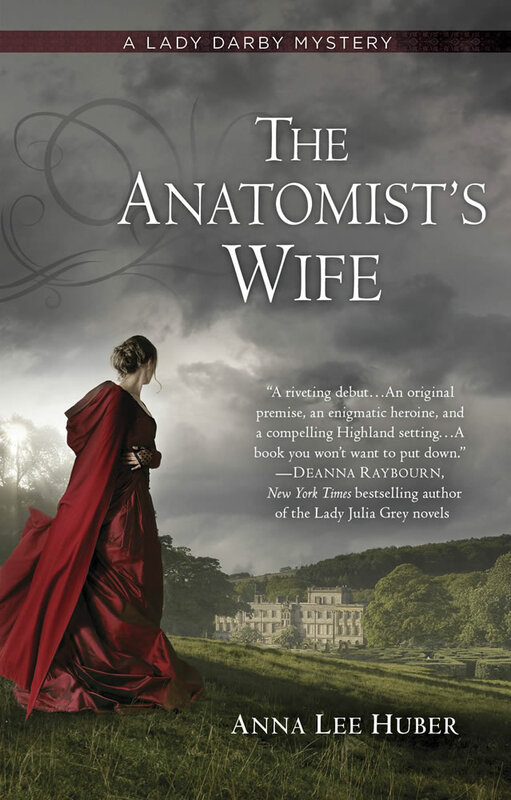 Lady Darby is an engaging new sleuth to follow and THE ANATOMIST'S WIFE is history mystery in fine Victorian style! The Anatomist's Wife is a riveting debut. Huber deftly weaves together an original premise, an enigmatic heroine, and a compelling Highland setting for a book you won't want to put down. I cannot wait for the second installment of Lady Darby's adventures. Anna Lee Huber has delivered a fast-paced, atmospheric and chilling debut featuring a clever heroine with a shocking past and a talent for detection. I'm already anticipating Lady Darby's next adventure. 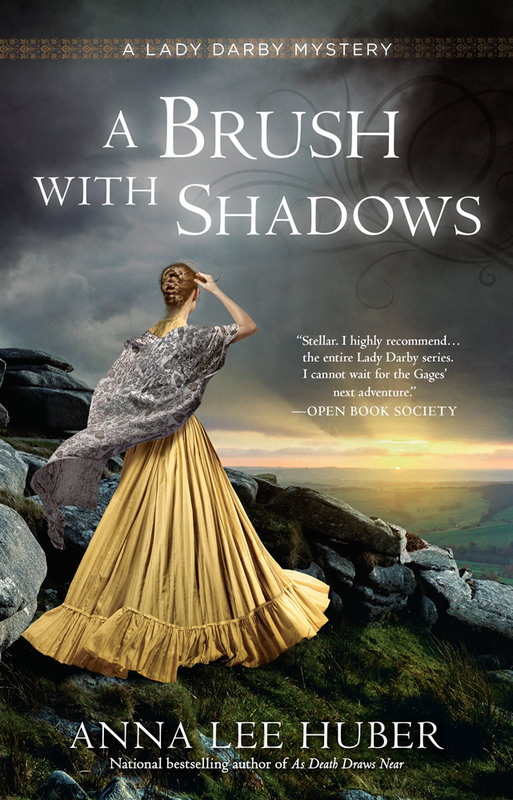 Lady Darby is an unusual and romantic heroine, haunted by a deadly past and trying to be herself in a society that wants to silence her--and worse. Huber's protagonist is complex and likeable and the well-plotted mystery is filled with fascinating secondary characters. The setting is lavishly portrayed, yet the story's pace is not slowed by descriptions. You'll be engaged right to the end. 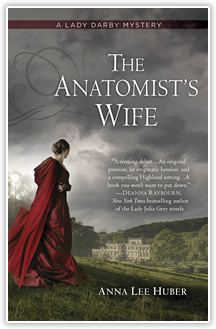 The Anatomist's Wife is mesmerizing, fantastically plotted with details and twists even the most avid mystery reader will fail to predict. Don't miss this one! 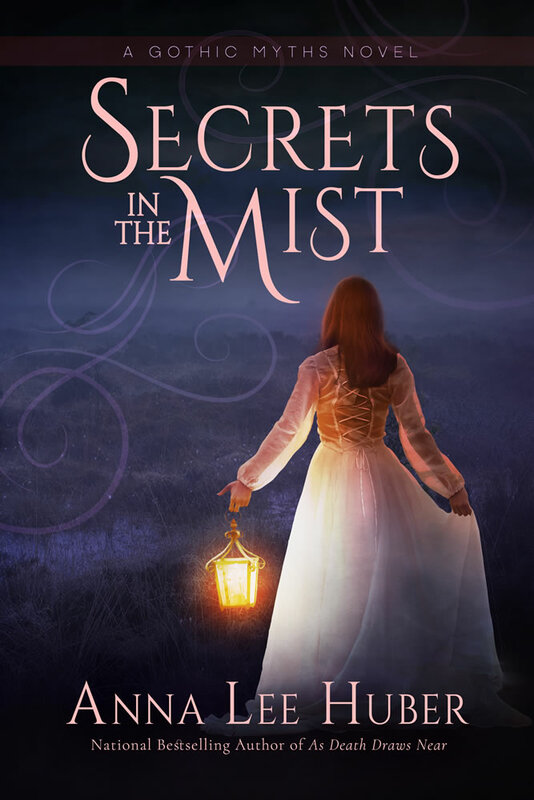 In this spellbinding novel of romantic suspense, written in the tradition of Mary Stewart and Victoria Holt, the bestselling author of As Death Draws Near plunges readers into a world of secrets and deception hidden amongst the mist. England 1812. Since the death of her mother and brother, Ella Winterton's life has been consumed by keeping her drunkard father out of trouble and the roof of their crumbling cottage over their heads. But even isolated deep in the Norfolk broads, Ella has never been afraid of the marshes surrounding her home, despite their being riddled with treacherous bogs and local smugglers. Until one night a man masquerading as a Lantern Man—a frightening figure of local legend—waylays her in the marshes near her home, and her world suddenly begins to spiral out of control. Ella can tell her friends and the local villagers are all hiding something terrible, something they refuse to share, and she can't help but wonder if it has to do with the Lantern Man and his secret activities in the shadows of the seemingly quiet broads. But when Ella's father is caught with smuggled brandy by the authorities and levied a crippling fine, she is forced to turn to the stranger for help, despite her distrust and his alarming ability to kiss her senseless. Now she must unravel a twisted trail of deception and secrets, and uncover once and for all whether the Lantern Man is friend or foe. Or else risk being dragged down into the marshes, like the victims from the myth, and buried in a watery grave. 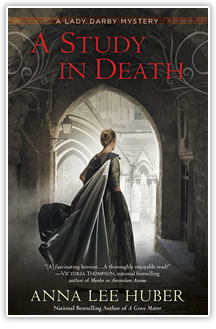 Anna Lee Huber has delivered a classic Gothic novel full of suspense, rich setting and characterization, and romance. Readers of Victoria Holt and Mary Stewart will love it. The perfect book to curl up with alongside a rainy day and a cup of tea.